BMW has always demonstrated superiority in engineering and technology. Their goal, as identified in their tag line, is to create the ultimate driving machine with both style and performance. We understand you are selective in your tastes and want to have the best possible driving experience. That's why Orr Automotive has made a commitment to providing you with BMW service excellence. We hire only the best technicians and utilize state-of-the-art diagnostic equipment to troubleshoot your BMW service problems. Your satisfaction is what compels us to do the very best job possible. Every car that is brought to us for service goes through a courtesy 27-point vehicle inspection. Your BMW is no exception. As soon as we identify the problem, our BMW service team quickly goes to work to resolve any issues so your car is running safely and reliably. 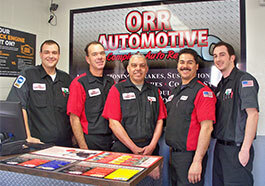 To see how Orr Automotive can assist you with your BMW service issues, contact us. 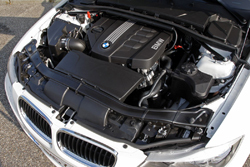 Oil Service: During this BMW maintenance interval, the engine oil and filter is changes. An inspection is also made to identify additional preventative maintenance issues that made be necessary. Inspection I: This maintenance is more comprehensive and is completed based on the specifications in your Service Booklet. Inspection II: Also specified in your Service Booklet, this service interval includes additional major vehicle maintenance. Once each year, you should also have a brake fluid and coolant fluid flush performed during your BMW maintenance. Finally, if your BMW is equipped with a timing belt, the belt should be replaced every four years or 50,000 miles. 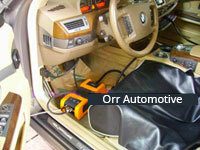 Need to have some BMW maintenance work performed? Contact us.